Choose from 4 Variations of Snake Design. 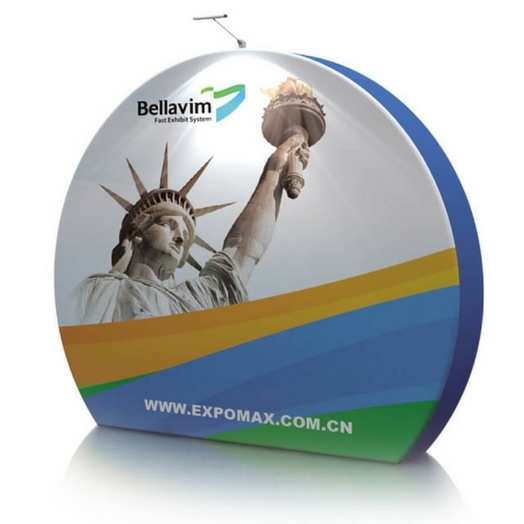 Stand out from the crowd with these 4 unique eye catching displays. 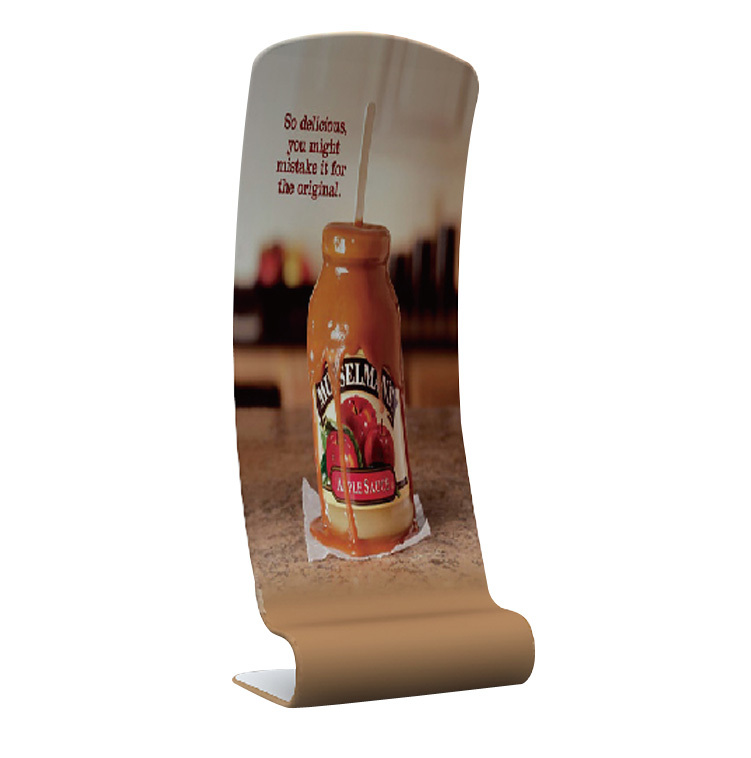 With a snake banner display you will be sure to stand out from the crowd. 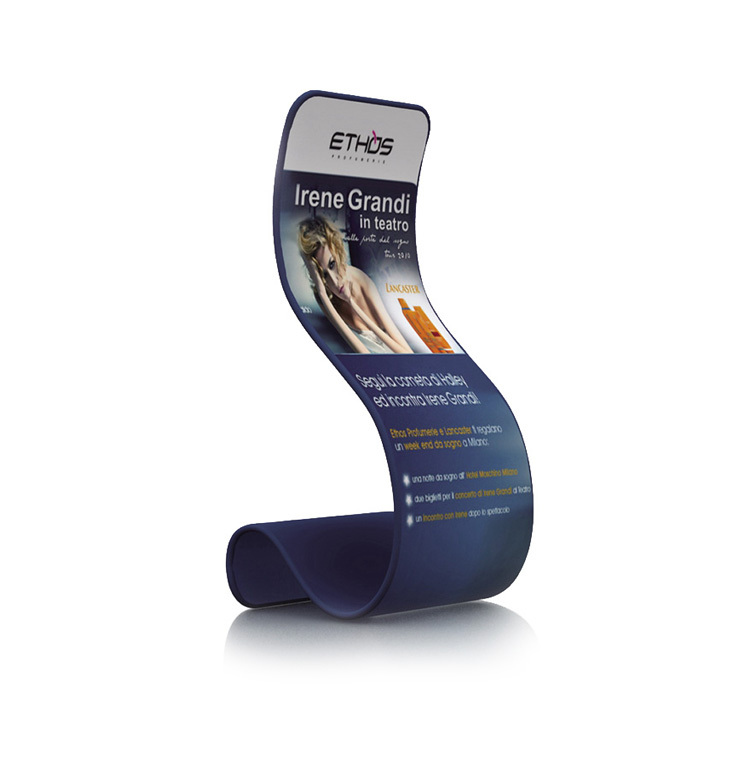 The uniquely fluid shape of these fabric tension displays is designed to attract the eye and create a point of difference. 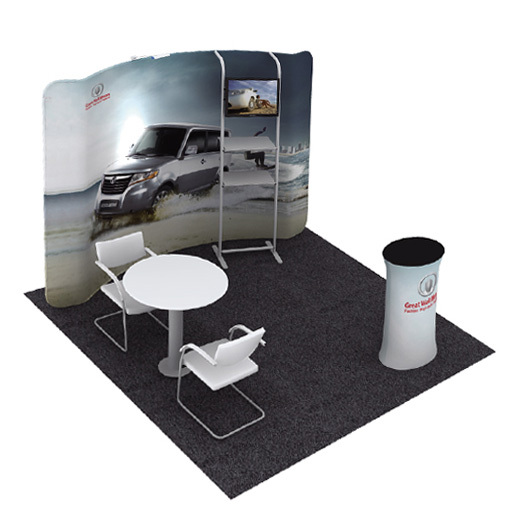 Our customisation and graphics options mean that we can create a snake display that is the perfect way to accent your trade show display. 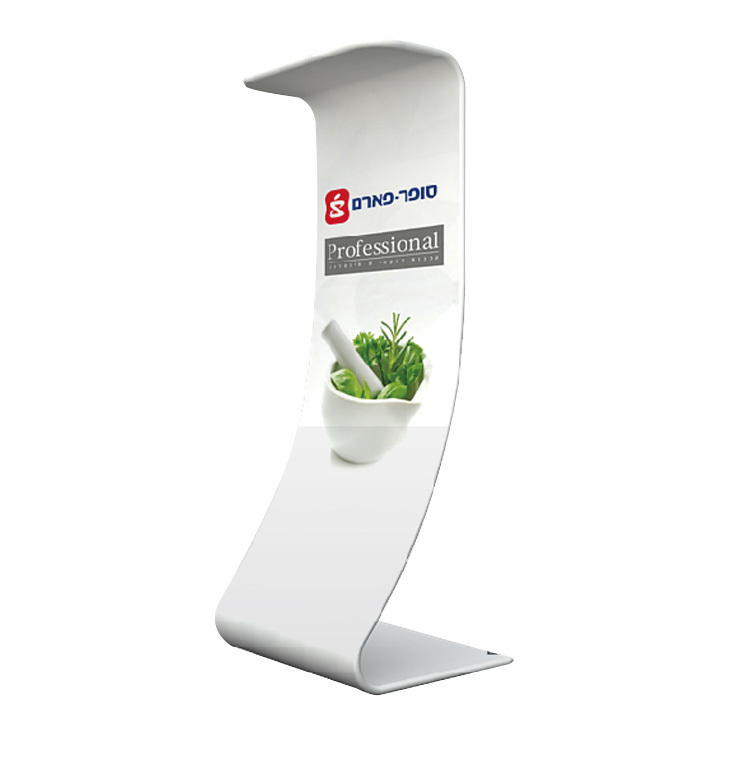 Snake Stand 3 – The most angular of our snake displays with a concave vertical display that seems to emerge almost directly from floor level and a horizontal top edge. 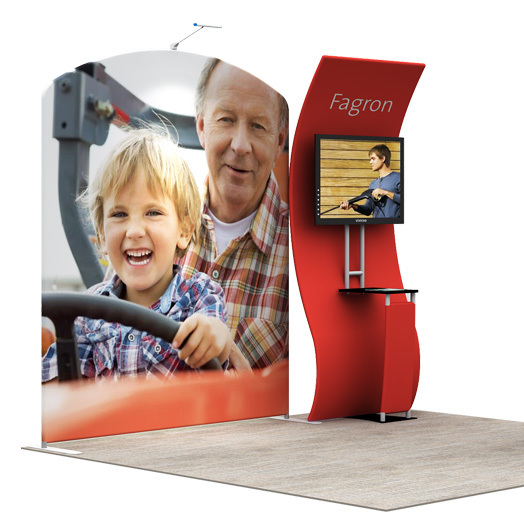 Our snake displays combine the latest in fabric printing technology with a lightweight and easily erected frame. 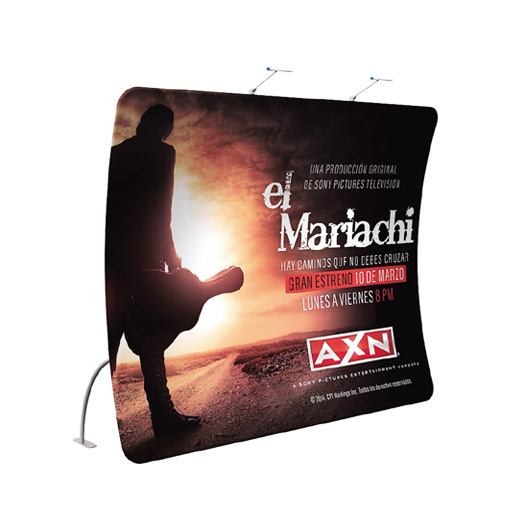 Both economical and high impact, these displays are all set up by stretching the printed fabric sleeve across a lightweight tubular frame that is easily assembled on site. 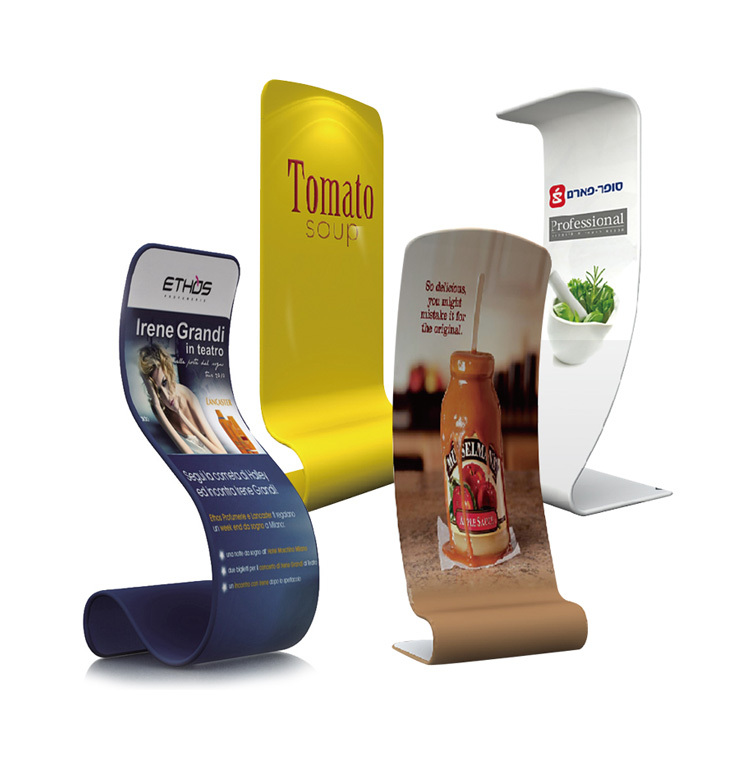 Choose from double or single sided options. 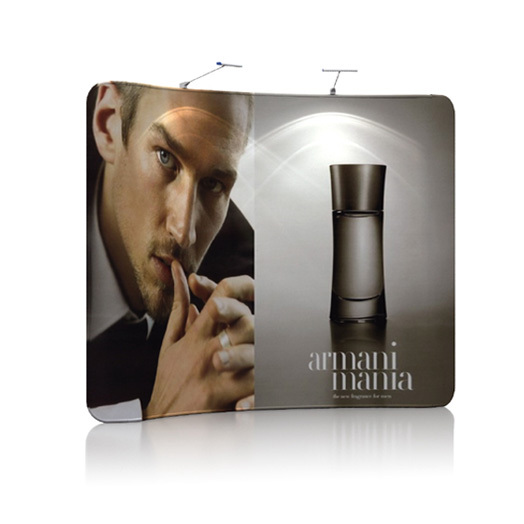 The fabric graphic is easy to store and stretching it over a frame ensures that you need not worry about creases. 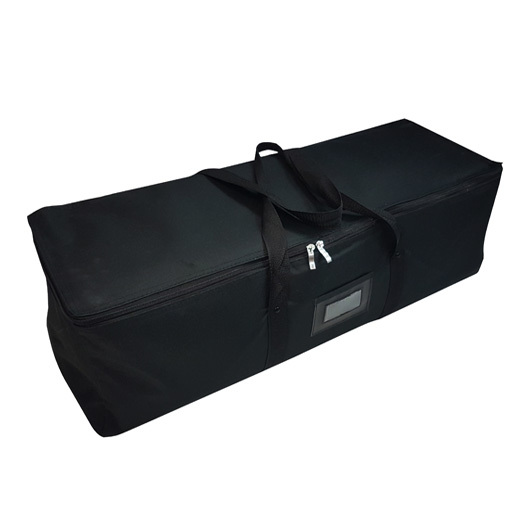 When it is time to pack your display away the fabric wall can then be quickly and easily packed away into an easy-carry bag.Screen Offset Printing is your printing solution specialist servicing Australia with free delivery to Brisbane and the Gold Coast. 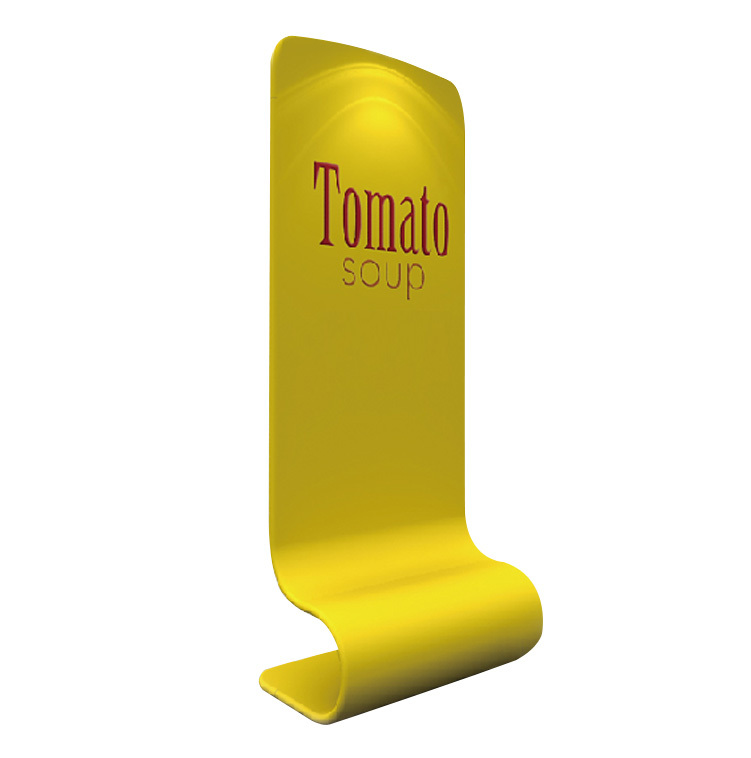 Once you have decided on size, book online and upload your artwork directly via our website, call Screen Offset Printing today on (07) 3265 1900 or drop into the office at 202 Robinson Road, Geebung Brisbane to discuss your signage needs.